Projects that benefit/involve low income households and/or those living in affordable housing communities will be given preference. Dino continues with his very successful "coloring with the community" project making quarterly stops at Triada in addition to his work with Sarah Garcia and CREAR. CE also sponsored his trip to Mexico (his first time out of the US) for the Akumal Arts Festival where he was able to mingle with muralists from around the world and contributed his own, first ever large scale mural to the Akumal pueblo. 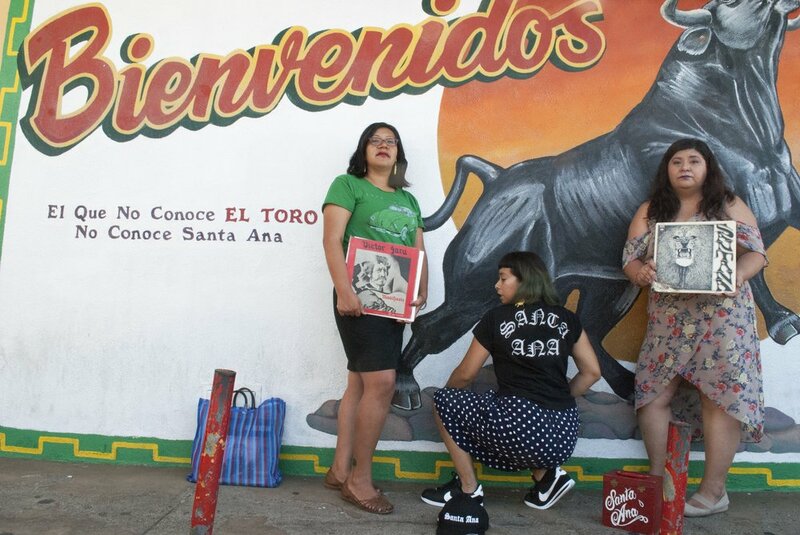 Chulita Vinyl Club was launched in December 2014 in San Antonio as an all-girl all-vinyl club for self-identifying women of color in the context of providing a space for empowerment and togetherness. They stand "united as a female DJ collective spanning 7 national chapters bringing together a community of vinyl loving girls". The Santa Ana chapter was added in 2016. Breath of Fire Latina Theater Ensemble creates opportunities and leadership roles for Latinas in the visual and performing arts. Their aim is to produce work that reflects impacts and empowers the Latino community. They believe in the transformative power of theater and aim to raise awareness of critical issues in the community, entertain and challenge, foster cross-cultural understanding, foster cross-cultural understanding and be a catalyst for personal healing and social justice.